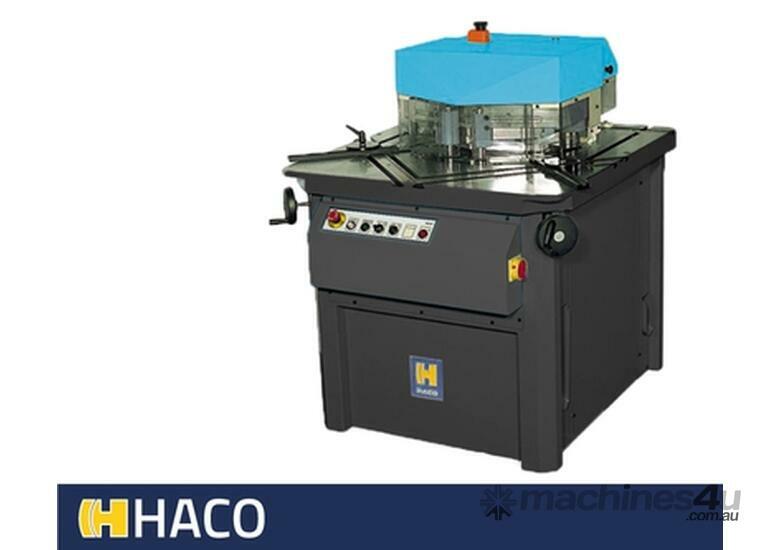 The HACO VARI uses a specially designed system to adjust top and bottom blade simultanous. This means that the VARI notcher has an adjustable notching angle between 30-140 degrees. This makes this notcher a very versatile machine with capacity of 6mm. Several adjustable stops and scales come standard on this machine. The VARI is delivered with a full oil tank, extra set of blades and electric foot switch. The VARI notcher uses a hydro- mechanical system to lock or unlock the blade setting. 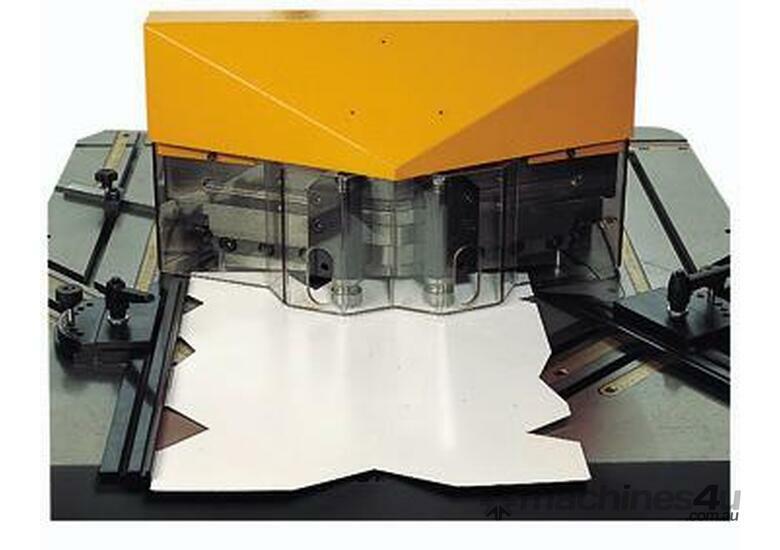 When unlocked, the operator can easily rotate a hand wheel on each side of the machine to rotate both top and bottom blades between 30 and 140 degrees.